*READS_Did Marcel Duchamp Steal Elsa’s Urinal? SCANDAL! But questionable “authorship” isn’t much of a surprise considering the nature of the work, right? 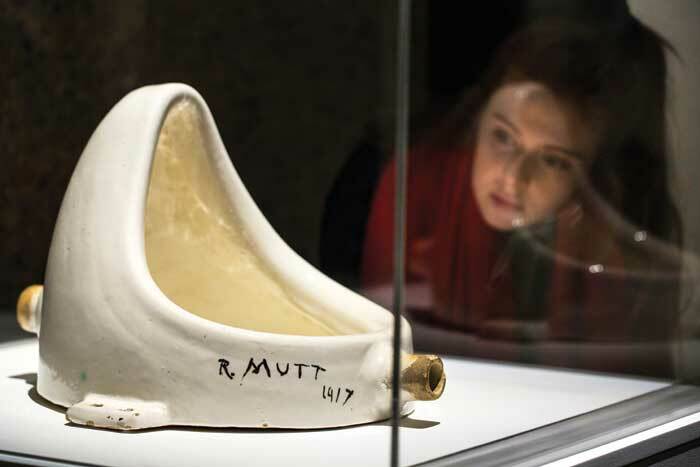 Should museums re-label the work Fountain as “a replica, appropriated by Marcel Duchamp (1887-1968), of an original by Baroness Elsa von Freytag-Loringhoven (1874-1927)”? Photo: Felix Clay Photograph by Felix Clay. This entry was posted on February 3, 2015 by rdotmdot in Item.